Hi friends, I hop you all enjoyed your weekend! We were scrambling to clean house and do laundry and stock the pantry and write out kid instructions and pack and go to church and finish blog posts, because as this post goes live we're on our way to NYC!!! I'll be attending the Better Homes and Gardens Stylemaker workshop on Thursday, but we're headed in early for several days to ourselves to enjoy the city. While I'm gone I'm so happy to have a few friends visiting to participate in My Favorite Five this week. Today I'd like for you to meet my friend Stephanie from Casa Watkins Living. I've fallen in love with Stephanie's colorful, eclectic style, and I think you will too! I was thrilled to meet Stephanie in person at a conference this summer, and spent a nice evening visiting with her over dinner. Enjoy getting to know her today and reading about her smart DIY ideas and gorgeous styling. Hola! I'm Stephanie of Casa Watkins Living and I am so thrilled to be here at Dimples and Tangles today! I'm so honored to be invited to share my 5 Favorite posts with you all. I'm a firm believer of living a global, eclectic life as a whole. What does that mean? Well, I incorporate several worldly and cultural influences in my home, DIY projects, cooking, and other factors of life. When it comes to home decorating, Jennifer and I can't avoid incorporating lots of colors. 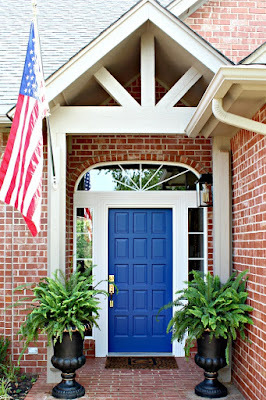 So, here are my 5 Favorite post that also show my love of global flair and color. Enjoy and hope to see you around my casa! One of my biggest pleasures is remaking or repurposing items into something new. One of my favorite repurposing projects are these easy DIY copper wire wall mirrors and you're not going to believe what I used to make them! You probably already have this in your home or boxed up in your garage. Have you ever seen the different assortments of vase fillers? Would you believe that you can come up with several projects using just one box of vase filler? I came across a box of sea urchin vase filler at Target and made these adorable mini sea urchin succulent vases. I made two other different projects from them too! Sometimes the easiest projects can make the most impact. One of my favorite global patterns is African mudcloth. Most commonly seen in black and white, the patterns have jumped off textiles onto all sorts of decor accents. However, my DIY mudcloth lamp was a first of its kind and only requires this one item! When it comes to decorating for the season, I take the more non-traditional approach. I love mixing and matching cool colors with the traditional fall colors. Sometimes, I just like to create a unique mix of decor as a statement piece. I really love this medley of small speckled pumpkins and vintage napkin rings I recently shared for my fall home tour. It's pretty neutral colored, so I decided to make the centerpiece more colorful. If I had to pick my ultimate favorite post, I would have to say it was my DIY Moroccan dessert plates. These plates were not just easy to make, but have held up to use so well! My guests just adore them and they are such a fun addition to my tablescapes. 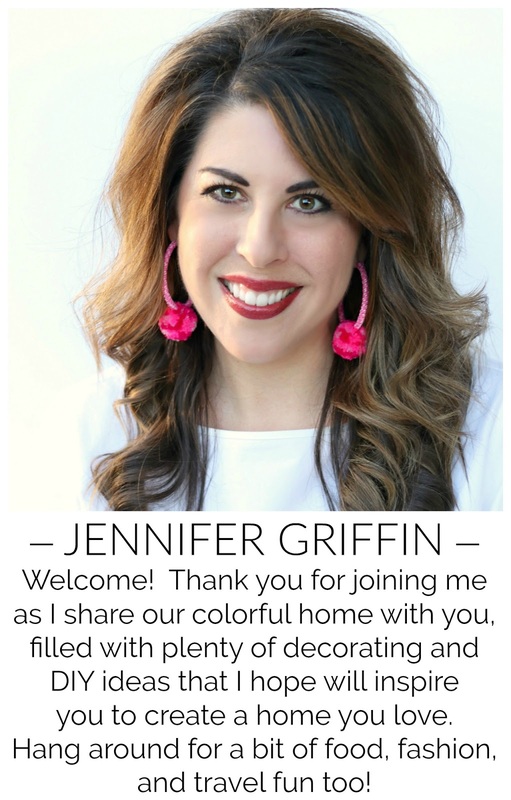 Thanks again Jennifer for allowing me to share my favorite 5 posts! I hope you have all enjoyed them and to see you around my casa. I always get lost in Stephanie's photos, they are so beautiful! I know you'll want to see more, so be sure and hop over to Casa Watkins Living and tell Stephanie hi! Thank you for being here today, Stephanie! Also, a quick note: This Fall's Blogger Stylin' Home tours begin today over at The White Buffalo Styling Company. Be sure to check out each day's tours, and I'll be sharing mine on Wednesday! i love stephanie! she has such a great signature style and knows who she is! Stephanie's home and style is so gorgeous! I love all the color and interest that she brings to each space!